Currasaws being fitted with radio collars prior to release. Click on the images to see larger versions. IUCN Netherlands has recently pledged funds to assist WLT Partners, REGUA, to purchase an important piece of land in the Estreito region of Brazil. 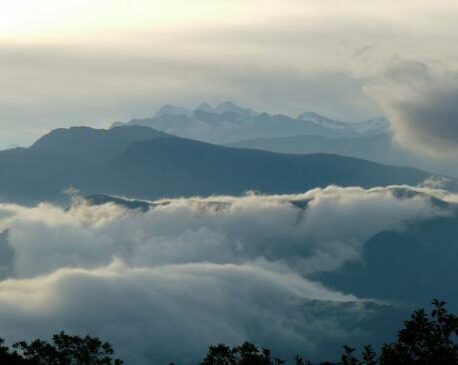 This purchase will secure an area within the government-owned Três Picos State Park, expanding the Guapi Assu Reserve by another 35 hectares and now REGUA administrate close to 6500 ha of forest. 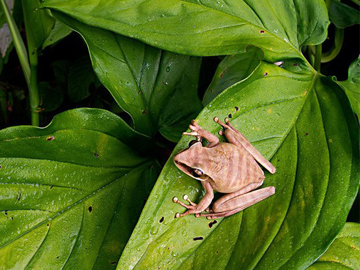 This brings the area owned and managed by REGUA to nearly 15,600 acres (6,500 ha). Local residents are enthusiastic about REGUA protecting this land as it also protects an important watershed and will guarantee the quality of the water. Destruction of the Atlantic Rainforest and hunting has threatened the Red-billed Curassow with extinction in the wild. 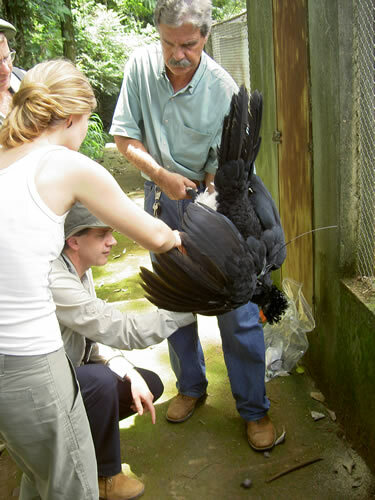 In September 2006, 20 captive bred Red-billed Curassows (10 male and 10 female) were released as part of a re-introduction project at REGUA. 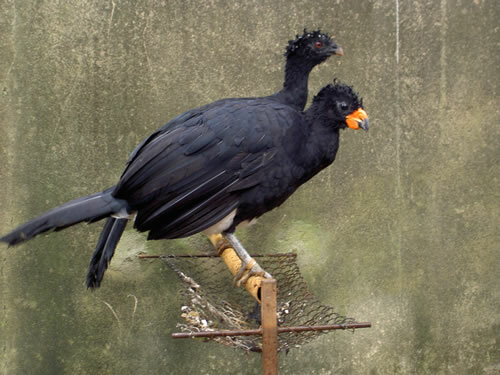 On March 10th 2007 the last two Red-billed Curassows were successfully released, replacements for two that were lost to predation after release. The birds are slowly venturing further from the release pen with only one female and two males visiting the feeders regularly. REGUA are therefore hopeful that at some point they will no longer need to provide food for the birds. After six months of release the birds are also showing more and more natural behaviours particularly with humans: Where they originally showed no real fear, they now either hide, run or fly away, all of which are natural responses that will help the birds to evade predation in the future.